While many of those in the industry are still figuring out the details of how opportunity zones could work for them, San Francisco-based JMA Ventures has closed its first qualified opportunity zone fund and launched a new one. 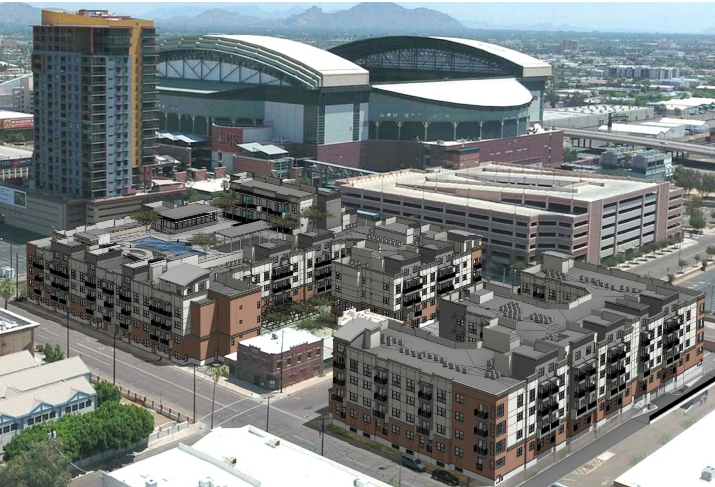 The first opportunity fund from JMA Ventures was a single-asset fund that the company is using for a multifamily project in an up-and-coming neighborhood in downtown Phoenix. The 278-unit project, called The Battery, will be the first major multifamily project in the area near Chase Stadium, he said. The project has been underwritten at a cost of $75M, including $8.4M for the land value. Because the firm was still figuring out how to take advantage of the opportunity zone program when it launched its first fund, it opted for a single-asset fund to minimize risk and make it easier to adjust if changes were needed as new rules emerged, Chapman said. The company worked with accounting and tax advisers to stay on top of the program and the fund, which launched in August, closed by November. Building on higher-than-anticipated interest from investors in that fund and a more secure understanding of what the final regulations will look like, JMA Ventures’ next fund is a multi-asset fund. The company always had the objective of launching a larger fund. The new fund will invest in ground-up development and renovation projects in opportunity zones in the western U.S., targeting properties including hospitality, office, multifamily and mixed-use.